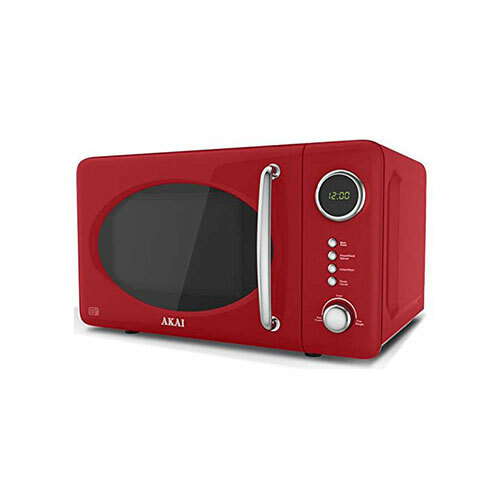 Featuring a large 20 litre capacity this red 700 Watt microwave has 5 power levels. 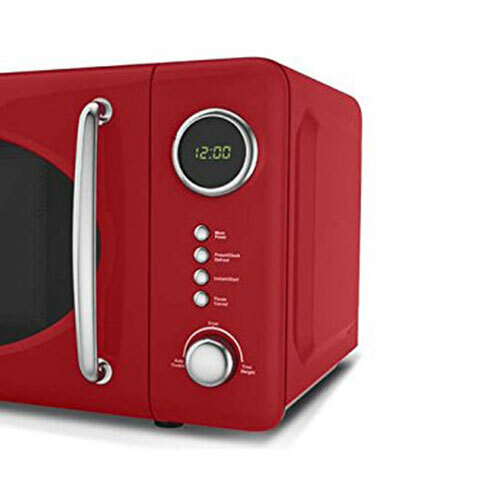 It has a 60 minute digital timer and a stylish circular digital display. Other features include a pull door handle, cooking end signal and a defrost setting. The microwave also comes with a 245mm glass turnatable.